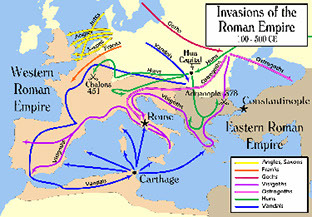 The decline of the Roman Empire begins with the invasion of the German barbarians, pressure and reclaimed land from a new Persian Empire, as well as internal economic and social strife. Though attempts to restore the empire were made during the times of Diocletian (ruled 284 to 305 CE) and Constantine (ruled 306 to 337 CE), all hope was lost after Constantine’s death. The Empire, which was divided into 4 territories under Diocletian, slowly saw each segment fall to outside forces. The western segment of the Roman Empire transformed into small cities ruled by military and clergy, whereas the eastern part will transform into the culturally recognized Byzantine Empire. In 256 BCE the Qin Dynasty, the namesake for the country of China, overthrew the Zhou Dynasty and sought to establish a unified China. The leader of the Qin Dynasty set out to conquer the neighboring states and declared himself emperor. It was under the Qin Emperor that the Great Wall of China was finished, protecting his emperor from the Huns of the North. Other accomplishments to arise during the Qin Dynasty included an effective bureaucracy, a vast transportation system, and a standardized Chinese writing system. Too much change, too quickly, ultimately led to the demise of the Qin Empire. 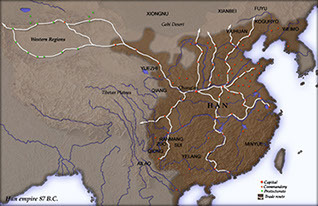 Following the end of the Qin Dynasty is the rise of the Han Dynasty, which is a formidable example of the dynastic cycle and the “Mandate of Heaven.” The Han Dynasty is established by Gaozu who begins the first phase of the cycle by slowly developing a good government that works for the people and an improving economic system. The second phase of the cycle, with the Han Dynasty as our example, begins with Han Wudi who relishes in the prosperity that Gaozu has created. The economy continues to grow, improvements are made to infrastructure, and Chinese borders are expanded. It is during this time that we see the emergence of the Silk Road and interaction between foreign cultures. Yet, as the dynastic circle prophesizes, the dynasty eventually faces economic decline due to over extended expenses, tax increases cause rebellion, weak emperors replace one another, and the dynasty comes to an end. 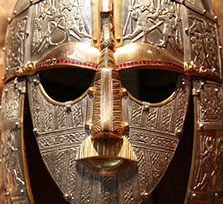 We become witness to similar circumstances during the Later Han Dynasty. 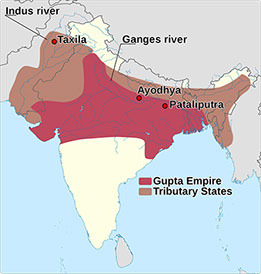 The Gupta Empire is known as the Golden Age of Indian civilization, as it highlights both Hinduism and Indian culture. Starting in 320 CE under the rule of Chandragupta, the first Gupta king, it was not until his successors, specifically his grandson that the Gupta Empire became the most civilized and peaceful civilization of its time. The Gupta Empire eventually fell to the Huns in the 500s but not before leaving its cultural mark. 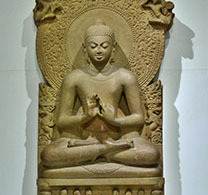 Gupta architecture and sculptures are some of the highlights of its cultural achievements. It is a result of education that Gupta culture flourished, focusing studies not only on religion but literature and the arts. It is also during the Gupta Empire that an Indian social structure based on Karma and dharma was developed. This caste system will be carried through Indian culture up to the modern day. 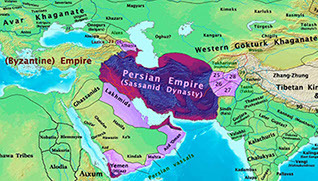 The Persian Sassanid Empire came into existence in 224 CE and is part of the great Persian Empire. Claiming to be the rightful heirs of the Achaemenid Empire (550-330 BCE), they focused on establishing a society similar to that of the ancestors and focusing on a pure Persian culture, one devoid of Hellenistic and other foreign influences. Though trade did flourish during this time period and had a positive effect on the economy of the Sassanid Empire, the leader’s inability to see the value of both the aristocracy and the peasants led to decline and discontent. 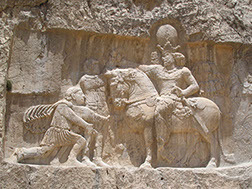 Conflict with both Rome and the Byzantine Empire weakened both the military and the economy of the Sassanid Empire, leaving it an easy target for Islamic Arab invasion. 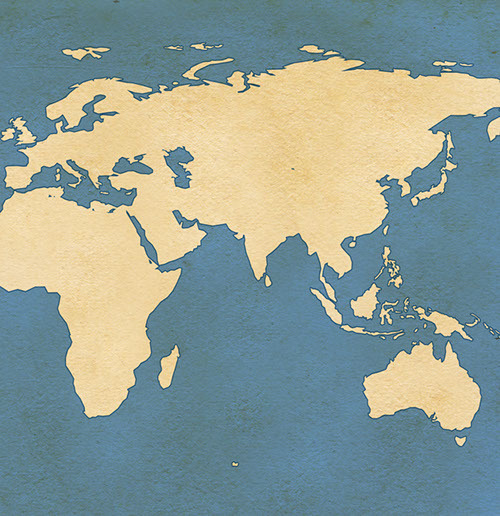 Early Japanese history is rooted in the migration of people and culture. 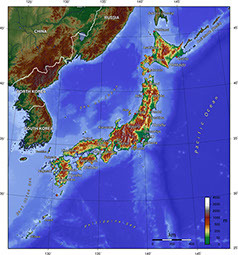 A land bridge once connected Japan to the mainland of Asia, from which the first animals and people migrated. Following various cultural developments in Paleolithic and Neolithic Eras, the third century CE marks the beginning of a powerful series of kings during the Yamato period (250 – 710 CE). 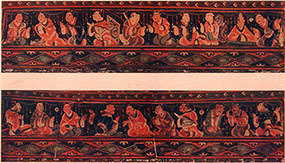 Adopting both writing and many artistic forms from China, during the Yamato period, Buddhism also entered Japan, altering the practice of the native Shinto religion. 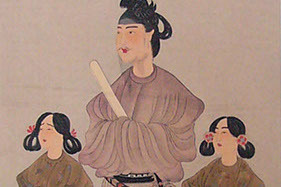 Influence from the Chinese Tang Dynasty continued in the following era of Japanese history known as the Heian period (794 – 1192 CE). Arts and culture, particularly literature, flourished during the Heian Era, which also witnessed the rise of a class of warriors known as the samurai. The Heian period ends the classical age of Japanese history. Medieval Japan begins with the Kamakura Period (1185–1333 CE), centered around a shogunate (military leader) and dominated by the samurai. During this period, Japan transforms into a feudal system. 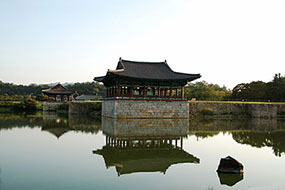 Originally settled by tribes migrating from Siberia, Mongolia, and Central Asia, early Korean civilizations experienced their agricultural revolution and increased settlement around 1300 BCE. Approximately one thousand years later, the Chinese Han Dynasty invaded Korea and ruled until the fall of that dynasty. 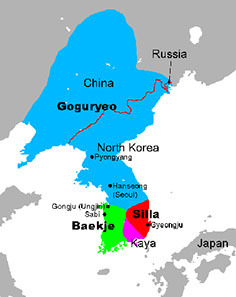 The first unified Korean Dynasty, Silla (668–935 CE), drove out Chinese control, yet borrowed and revised Chinese writing, government models, and religion. Though technically not Chinese, the Silla Dynasty experiences a period of rise, prosperity, and decline similar to that of the Dynastic Cycle in China. 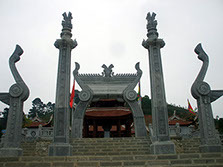 The early history of Vietnam finds tribal and agricultural settlements located in the Red River valley of the northern portion of the country. In 111 BCE, the Han Dynasty of China invaded Vietnam and ruled for the next seven hundred years. With Chinese rule came Chinese cultural influence, which was especially true during the era of the Tang Dynasty. Chinese rule in Vietnam ended in 938 CE with a series of revolts by the non-Chinese inhabitants of Vietnam. 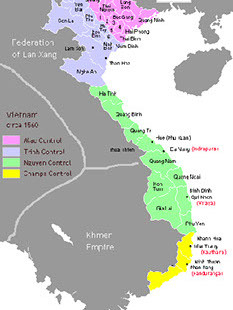 Chinese weakness enabled the success of the Vietnamese revolts, and the first two dynasties to rule over a now independent Vietnam were the Ly Dynasty (980-1225) and the Tran Dynasty (1225-1400 CE). The ruling families of Vietnam were not known for establishing a strong central government or unified nation. Internal power struggles ensued between the central government and powerful local leaders. Also challenging these dynasties were constant Chinese attempts to recapture Vietnam.